We use nutritional supplements as an adjunct to a healthy balanced diet, when proper food is not readily available, when a deficiency has been diagnosed, and/or under supervision of the qualified health professional. Not all sports supplements have the same level of research undertaken on them, so we don’t know if they are safe for use, or even effective for most athletes. Because of this, it is best practice to use supplements that have been classified at Group A (high level of evidence) under the Australian Sports Commission supplement framework. When should we use supplements? While we take a ‘food first’ approach where possible to fuel an athlete, there are times when supplements can improve nutrition intake, especially during the start of a training block or getting back into training after time off, when the body is adapting and building a higher work capacity, when in a calorie deficit to reduce the risk of nutrient deficiency and in recovery situations and when food cannot be easily accessed. Some supplements are time specific, and need to be taken around training to yield their effect, such as beta-alanine, caffeine and beetroot juice. 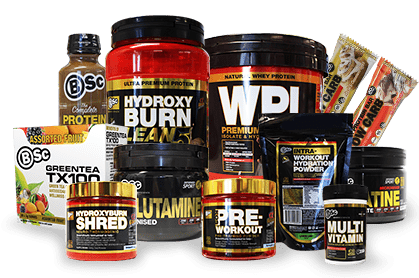 Other supplements, such as creatine and vitamin supplements, are not generally time specific, as their effect occurs as a result of accumulating in the body across a number of weeks. When it comes to using food timing as a strategy to increase recovery benefits and boosting training adaptations, food timing can be important too. This is more or less important depending on energy intake and what body composition goals you are trying to achieve. When aiming for optimal performance or when undertaking a calorie reduced diet, post exercise is a critical time for nutrient intake and supplementation may assist to reduce negative side effects. We need to feed the worked muscles to take advantage of the training done and accelerate recovery while the body is primed. The use of supplements like whey protein and carbohydrate electrolyte drinks, gives the body the energy and building blocks it needs to recover ASAP, until we can sit down to a good meal, or boost up muscle glycogen levels just enough that we mitigate the risk of muscle protein breakdown when eating a reduced calorie diet. Recovery practices become especially important when training is increased to multiple times per day, as recovery time is reduced. It is important to note that there are times when we might want to push the body to adapt, where we might aim to create a heightened stress response in order to drive such adaptation, rather than focusing on optimal fuelling for maximum performance. This might be when trying to reduce fat mass, improve fat utilisation in endurance sport, or prepare for a sport where adequate nutrition may not be accessible (such as with special forces or obstacle race athletes). In such situations, training outputs may suffer acutely while emphasising adaptation and recovery may be compromised by purposefully not providing adequate recovery nutrition, including deliberately withholding carbohydrates and in some cases, water. The end goal is to have proper nutrition intake restored and for the athlete to move forward with an upgraded ability to deal with physical stress in competition. The long and short is, that supplementation is used to supplement to a healthy diet that emphasises wholefoods where possible, and adopts smart and strategic use of other compounds to enhance the individual further. Purchasing supplements for the sake of feeling like you are actively doing something, only to have them sit in your pantry for the next year, is not only a waste of money, but takes away from when intelligent supplementation may actually be required and of benefit. Always take the time to ask a professional about when a supplement may be required and how to use them properly.